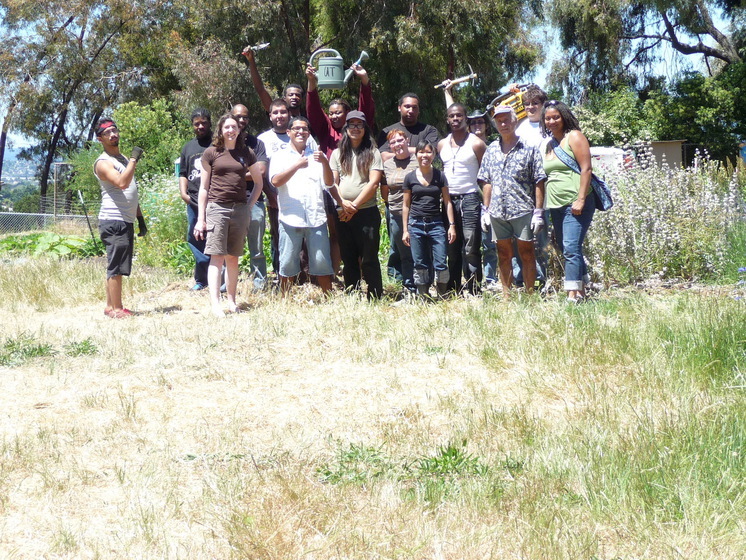 Urban Tilth is a non-profit organization based in west Contra Costa County, California. The organisation, funds, organizes, provides technical assistance, and owns several urban farms all over the county. Adams Crest Farm, one of the largest farms managed by Urban Tilth, is located in Richmond Heights, CA. The Farm was formerly an unused open field and aims to produce 1,000 pounds of produce on this site yearly for the neighborhood, which lacks access to affordable fresh produce. The farm is staffed by local volunteers and K-12 students. Emma Marchant and Catherine Nueva Espana of Atelier Ten’s San Francisco office, with Foundation funds, worked with Urban Tilth to install a modular, portable, water catchment system to extend the farm’s current growing area beyond that which is currently linked to mains drip irrigation. The catchment system is installed on a tool shed that can be moved later to a different area as the farm grows. The simple but effective system uses modular rainwater containers attached to the shed. The modules are lightweight when empty, and can be safely handled and moved without lifting gear. The modules can be interlinked and the water extracted through a simple tap, without the need for a pump.